From the director of one of the best science-fiction movies of the past few years, 'Ex Machina', comes 'Annihilation'. A smart, riveting and tense film that no one's going to watch. Because why would they? This is the kind of science-fiction movie I want. Something I think every single science-fiction fan has said after they saw this, which makes it a damn shame when either this or 'Blade Runner 2049' (the other "this is the kind of science-fiction I want" movie) haven't done well at the box office. With 'Annihilation' it's even more heartbreaking knowing the expression "dumped on Netflix" has to be used for everyone outside the United States. Knowing I couldn't go to a movie theater and watch it properly and instead be confined to my own home, watching it on a Netflix tab on Google Chrome, got increasingly more difficult to take in as this beautifully shot movie unveiled itself. I don't wanna get into the Netflix model too much as that could warrant its own article. 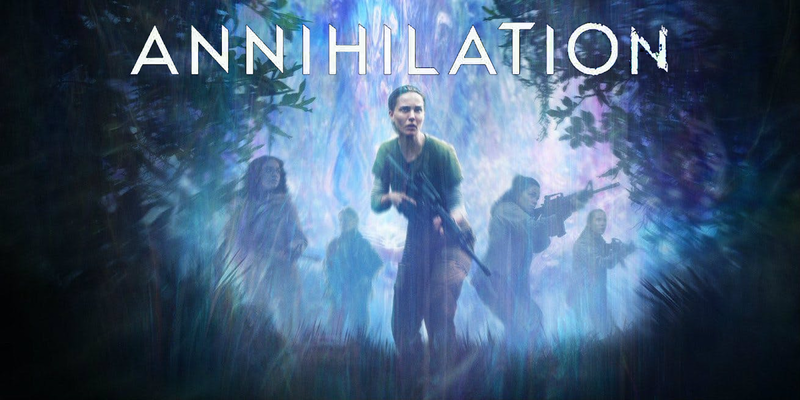 It's a great idea for the most part, but movies like 'Annihilation' that really have something of value to say and can easily make for one of the strongest movies of the year with staying power guaranteed for at least the next decade, having it released on Netflix just like that and have most of its audience just casually stumble upon it one night and watching it if they can't find anything else almost prevents that staying power. Far more movies released on Netflix will come and go no matter the quality and I fear that's what's going to happen here. I was surprised to find a lot of creepier elements involved in this, of course I was too simple-minded to find horror as one of the genres listed on letterboxd along with thriller and mystery, so I wasn't aware it was as big of an element as it ended up being (no I didn't watch any of the trailers either). These are only positive aspects, science-fiction stories like this work far better when they're taken seriously and explore the darker aspects - especially when it's dealing with the unknown. 'Arrival' is an excellent recent example of this. The tension grips you right from the start and doesn't let go but instead makes sure you are properly glued to the screen and pays attention to every single detail, just trying to understand what's going on. Thankfully, for the most part the movie never flat out tells you what it's doing. It never looks at you with the intent of laying out exactly what it all means on the table and explaining it all. For the people in the peanut gallery who could not care less and remains on their phones for most of it, this is a bad thing because they won't get anything out of it and walk out hating it. For the people who actually care, they'll get a lot to chew on. The performances are all very good, albeit not noteworthy enough to stand up to the recent Denis Villeneuve movies or even Alex Garland's previous effort in the science-fiction genre. Natalie Portman does well enough but I can't help but feel someone else could've been in that part and probably deliver something more memorable, which is sadly what I feel about most of her performances. Jennifer Jason Leigh on the other hand is great, as is Tessa Thompson. They make these genuinely haunting scenes come to life and leap out of the screen. The same haunting scenes that could easily come across comical with lesser actors in them. In the hands of Alex Garland's controlled direction and his well paced script, you believe everything you see, and you fear it. 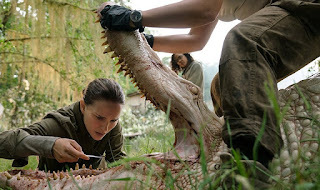 'Annihilation' is a wonderful experience and one everyone outside the United States with a Netflix subscription really have no excuses not to check out. It's the absolute best example right now of ambiguity done right. It leaves just enough for you to chew on for the delicious aftertaste to last several hours. It joins the ranks of 'Ex Machina', 'Arrival' and 'Blade Runner 2049' as the best cerebral science-fiction movies of the past few years, and I cannot wait to see what Alex Garland has in store next. Overall I feel like we have actually gotten a pretty decent January as it usually comprises of the most loathsome movies you could possibly imagine - and this is especially the case for the horror genre ('The Devil Inside' anyone?). But from what I was expecting, I can definitely say this is one of the stronger January's in recent memory. However, that does not mean we do not still get those stinkers, we certainly did and 'The Forest' is most definitely one of them. The one word that entered my head as the movie started - was the same word I had when the movie ended = pathetic. 'The Forest' feels just like what a young person who grew up on modern horror movies (and modern horror movies only) would end up writing and directing once he or she got in the business. We have everything here you could imagine. Jump scares without any build up or established tension. A famous actress in the lead role in the midst of a bunch of C-listers. A silly premise that is difficult to take seriously. Mind-numbingly silly and desperate editing just to squeeze a couple of more jumps out of the audience. And of course, who could forget the most important trope of them all, poor use of CGI. The only thing it had going for it is that it is not found footage, but really that should not be all it takes to count as a positive. It is kind of amazing that we have entered 2016 and we still have not left this age but if there is anything I can praise it for - it is that it makes me appreciate movies like 'The Conjuring' and 'The Babadook' so much more. From a production value point of view at first I was somewhat impressed as I knew it had a budget of a mere $10 million and the first 10 minutes show scenes in what I can only assume is Tokyo as well as several different locations in a short period of time and I was wondering how the rest of the movie was going to pan out... but then I remembered this movie was called 'The Forest'. And what do you know, a lion's share of the total screentime takes place in a boring and dull looking forward with poor color grading to make it look darker and "creepier" than it really is. When you get right down to it, it is just a forest. The performances are nothing outstanding. Natalie Dormer brings nothing to the role and I doubt she is even really trying in comparison to what she does on 'Game of Thrones'. The other actors in the movie are also nothing special and just comes across as "those guys" that you see in horror movies like 'The House at the End of the Street' starring Jennifer Lawrence or 'The Boy Next Door' starring Jennifer Lopez. Nevertheless they bring nothing to an already empty movie on almost every front. Overall, 'The Forest' is a shoddy piece of tripe that has all of the hallmarks that we see in most bad modern horror movies. The script is poorly thought out, the dialogue is on the nose and incredibly childish in its attempt to sound "mature". Then the ending comes that I think everybody naturally saw coming a mile away but it just emphasizes how little this movie has to offer even under the most basic of scrutiny. I am glad they did not at least try to pull a bigger twist just for the sake of it being a twist no matter if it does not make any sense. But it does not change the fact that this is just a terrible movie. It is the return of Quentin Tarantino on the big screen after three years. This time with almost three hours of content for us to chew over and an entire roadshow event surrounding it. 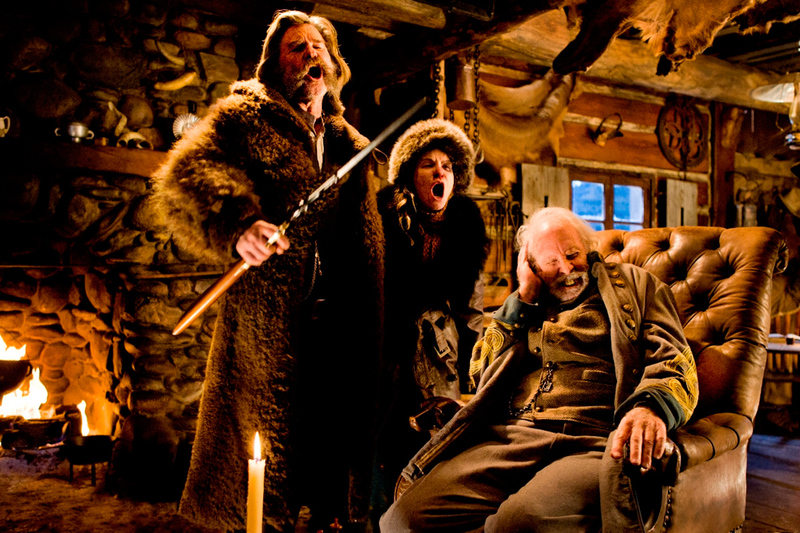 Yes, 'The Hateful Eight' experience is quite an amazing one. It's not exactly news that Quentin Tarantino is one of the most fun filmmakers working today. 'Django Unchained' was scene after scene of terrific setups and payoffs, through dialogue and clever scenarios utilizing the characters well. If there's one thing Tarantino does well, it's create individual scenes that work tremendously as clips on YouTube. 'The Hateful Eight' is different, but for the most part fits right in and is the best western since... well, 'Django Unchained'. It did have such classics like 'A Million Ways To Die in the West' and 'The Ridiculous 6' to surpass, which naturally it pulled off before it even entered production but I do want to make sure I emphasize this, 'The Hateful Eight' may not be better than 'Django Unchained' - but it is however one of the best movies of 2015. Whether or not that is a statement I will hold to in the future is something we'll have to wait to find out but as of right now; I thoroughly enjoyed this movie both times I saw it and I expect I would enjoy it just as much if I saw it again. The one nagging issue is by this point, Quentin Tarantino is going to have to shake up some things if he wants his style to work again in his next film because it is getting kind of predictable at this point. The very second I heard Kurt Russell was in the film I got really excited to know I'd get to see him in another Tarantino film, or hell, another movie. He is a really great and fun actor and used really well in 'The Hateful Eight' as Jon Ruth the hang man. Russell's over the top performance makes the character of the most memorable in the film. 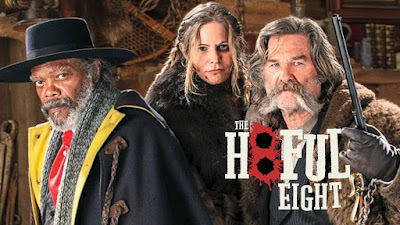 Thankfully though, he's not the only one, the main reason this movie works as well as it does is, there isn't just one character that stands out out of these hateful eight - they all do. Samuel L. Jackson gives probably his best performance since 'Pulp Fiction' (he really should've been nominated), Walton Goggins has a really fun role and probably plays the only character that has anything resembling a character arc. Jennifer Jason Leigh is very deserving of the best supporting actress nomination she got at the Oscars. Tim Roth, Michael Madsen, Demián Bichir, Bruce Dern... they are all memorable and play ver well realized characters by an absolutely killer script by Tarantino. Anyone who paid any kind of attention to the film knows it was shot in 70mm and if at all possible, that is definitely the way to see it. I highly doubted I would get the chance, but I did and it was one of the most fun movie experiences I had the whole year. The most interesting aspect of Tarantino using this format for The Hateful Eight is just how confined the whole thing is. For a large chunk of it we're stuck in a tiny cabin - and yet it's shot with a ridiculously wide lens. It functions as a very nice contrast and is arguable the most interesting directiorial effort of his career so far. It helps establish the layout of the room and it constantly forces Tarantino and Robert Richardson (cinematographer) to come up with interesting shots to prevent the confined space of getting dull to look at, which it never is. All the shots are very well composed and because of the 70mm, they could really get in close to each actor's faces but still have enough room to progress the story with things happening in the background, it just works. The main problem with 'The Hateful Eight' is what I alluded to earlier on. This is yet another Tarantino movie that just ends in a bloody mess, and by that I mean a literal bloody mess. I was hoping it would go in a more interesting direction with all these characters and completely subvert what you'd expect at this point, but there just had to be exploding heads and a comical amount of blood. Overall thought, 'The Hateful Eight' is a film that is a lot of fun to watch if you like dialogue driven narratives. It's not his strongest effort, but I would put it in the upper half of his filmography. The 70mm theatrical experience was one I won't forget anytime soon. It's here. After years of anticipation, years of endless speculation about where the hell Disney were going to take the franchise and after multiple great trailers leading up to it - 'Star Wars: The Force Awakens' has arrived. Is the franchise here to stay or does this feel like the beginning of yet another collection of disservices to the title? Well I literally just got out of an IMAX showing and I feel ready enough to give my answer to the question. All right Star Wars fans out there, myself included, deep breaths can be taken here. 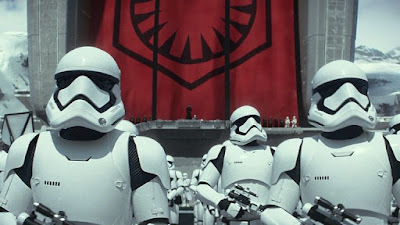 'Star Wars: The Force Awakens' is not the beginning of yet another trilogy as terrible as the prequels. On a purely visceral and entertainment level, this movie is great. If I was born back in the 70's and had watched all three of the original movies in the theater, I'd be saying I haven't felt the force as strong as this since 1980. Yes rest assured, 'The Empire Strikes Back' remains the greatest Star Wars movie ever made (and I doubt anything will ever top it), but 'Star Wars: The Force Awakens' is up there with the strongest movies in the franchise and further emphasizes just how big of a misfire the prequels were. This doesn't mean this is a perfect - or even near perfect - movie however, there are certainly flaws to be found, the question is how much they matter in the grand scheme of this epic filmmaking on display. For the sheer and utter blast I had while watching it, all the little details here and there that bugged me, were for the most part completely overshadowed. I'll get get to those things later on in the review - but not in a spoiler way. I will keep this whole review as spoiler free as possible because while there have been bits that were revealed through various sources - the movie does still thankfully have a couple of surprises up its sleeves so for your own sake, let them be surprises when you watch it. Right of the bat, the opening title crawl is excellent. I know it is kind of silly to praise text but considering just how dull the entire prequel trilogy (and even 'Return of the Jedi' to some extent) were - this title crawl gets you excited and pumped about what's to come while also get you up to speed, something the Star Wars title crawl should do. Naturally the audience erupted in applause when the Lucasfilm stamp appeared followed by the John Williams score blasting through the IMAX speakers. It was one of the best experiences I have ever had in the theater, something that thankfully wasn't nullified by the actual film. The real victors in this movie however are thankfully the characters. Rey and Finn played by Daisy Ridley and John Boyega respectively are fantastic and utterly butchers the standard level of performances given in the prequel trilogy and even tops most in the original trilogy as well. Their chemistry is solid and they're given a plethora of standout moments, both together and individually. Harrison Ford is not phoning it in here like he's been doing for decades (even 'Return of the Jedi' to some extent), this is the Han Solo we know and it's a very logical progression from where we last saw him. 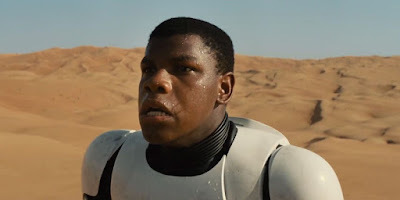 He finally have things to do that affect the actual plot, something we haven' seen since 'The Empire Strikes Back'. He and Chewbacca's (who's used very well) banter are on full display and you really feel like both of them truly have returned to the screen, something that can also be said about Carrie Fisher as Leia, as expected she's not in the movie a substantial amount, but it's enough to warrant merit. We also have a great new villain in Kylo Ren who I justifiably feared might become a little too similar to Darth Vader - something I discovered, had an actual purpose. Adam Driver does a great job in the role and the script gives him a lot of memorable moments, as far as the new characters go, this is the strongest one. The plot is not particularly deep or heavy, which might have been the best direction they could have gone for the opening movie. 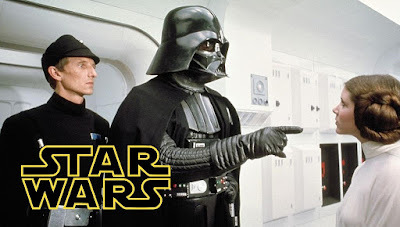 The first 'Star Wars' movie wasn't deep either, but left the doors open for a heavier sequel with 'The Empire Strikes Back' (which it pulled of perfectly, of course) and this is no different - assuming Episode 8 will catch the drift. The only thing I can really say is given depth, is a few of the characters. They're not particularly complicated but they feel like real people. This is the third Star Wars movie I feel pulled off a near perfect pace. It doesn't waste any time or rush you through anything, you never feel like it's spending too much time or too little time on any of the many locations, it's nearly perfect. It also doesn't feel like it tries to get passed the character development so we can have more action sequences. J.J. Abrams knows what's important and has thankfully decided to have that be the main focus. It's Star Wars again. If you don't want to know anything about the movie then you'll have to stop reading unless you want to risk anything. I'll have to bring up a few plot related elements before I finish this. I just know every single naysayer on the planet will be quick to mention that the plot is very similar to the original 'Star Wars' and hell even elements of 'The Empire Strikes Back' and 'Return of the Jedi'. I'm talking plot point by plot point at times. Obviously George Lucas' classic "poetry, it rhymes" quote gets made fun of a lot (and it should) but you're gonna see people saying J.J. Abrams followed it too closely. That being said, for the most part I never found it annoying. There's just enough new things here to balance it out and by the end I didn't leave the theater thinking it is a clone of the original trilogy. Why? Because the characters feel new. The only actual problems I have with the screenplay in terms of structure is a scene around the middle, which when you look back at it - doesn't stick out at all and could easily have been reworked. The third act is where the real flaws start to creep however (I was even reminded of 'Terminator: Genisys' at one point, something that shouldn't be allowed to happen) but again, nothing detracts from the enjoyment and honestly, a lot of the things throughout the movie that I thought were going to lead to flaws - only ended up being a diversion for something better which was great to see. Overall, 'Star Wars: The Force Awakens' is a wonderful return to form for the franchise with great characters, overwhelmingly enjoyable action set-pieces, lots of memorable moments and the most important positive of all - it feels like Star Wars again. This is the first good Star Wars movie I have ever seen in the theater (saw 'Revenge of the Sith' back in 2005 and 'The Phantom Menace' in 3D) and it certainly will not be the last unless my credit card says otherwise. 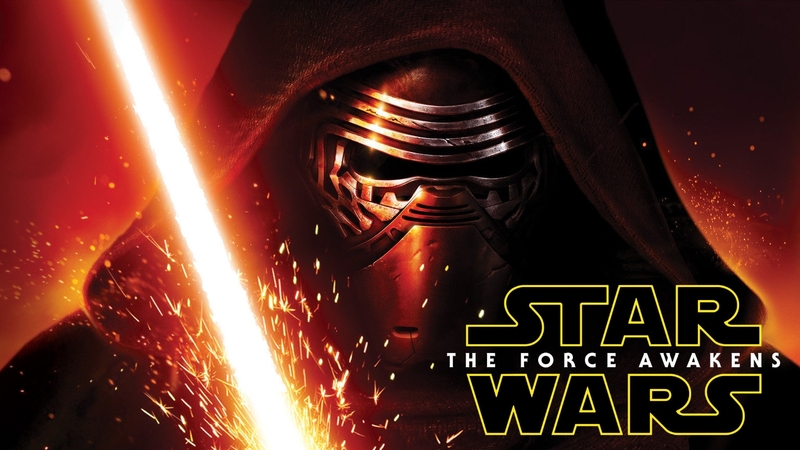 Star Wars is back, and it is here to stay. Now let's hope the future installments can live up to this. As we get closer to the release of 'Star Wars: The Force Awakens', let's take a second to look back on the movie that started it all and see if it still actually holds up on its own merits. Well, yes, of course it does. Watching 'Star Wars' again I could not help but feel like I should watch these movies more often. I am a strange creature in that I rarely find myself rewatching movies to instead make room to expand my knowledge with films I haven't seen before. Going back however reminded me just how entertaining and rewatchable it still is. 'Star Wars' is pretty much the perfect amalgamation of all the tropes you see in classic boy-turned-hero tales. Not everything works from a logical perspective but purely as a hero's journey story - this is pretty much a perfect movie. It has a very logical progression from a simple and grounded environment, to a huge and epic space adventure. Now what kind of a Star Wars review would this be if I did not mention the score. One of the very few things that has remained consistently great in all of the Star Wars movies is John Williams' epic music. Whether it is the opening titles, the individual themes for all of the characters or even just the music that is played in Mos Eisley Cantina. Practically all of the different scores are some of the most memorable and greatest ever composed for a movie and I can without a shadow of a doubt say that this franchise would not be what it is without it. One of the main strengths of this movie is just how many levels it can be enjoyed on. It is a blast for both kids and adults for many different reasons whether it is the really tight editing to keep you engaged or the different themes that are present. This is how the original trilogy (or at least the first two) has survived this long and remains on many people's favorite movies of all-time lists even after growing up. I cannot entirely sympathize and say this is one of the greatest of all time but it is definitely a masterful starting point for what was to come. Now to some negatives about the movie that I discovered (well more like rediscovered because I was already aware of them but whatever) while watching the movie again. We have a rather weak leading performance from Mark Hamill (who of course was only like 25 at the time of shooting) who overacts in places and comes across as whiny in others - which can also be attributed to the script. And speaking of the script, people seem to have this weird notion that George Lucas changed drastically when you compare the original trilogy to the prequels. I respectfully disagree in that I feel like he is very much the same man - just without all the money in the world and a whole bunch of yes-men around him who will do whatever he wants. Many lines in this film ranges from being cringeworthy to almost terrible. All the bad lines, stilted performances, pointless story detours and the soulless exposition were all there at the start. Thankfully we got three heroes (there is literally no other way to describe them) in the names of Richard Chew, Paul Hirsch and Marcia Lucas who took footage of what would otherwise have been a disaster of a film - and made it into what it is today. You can really see in the deleted scenes that this could have been a very different film if these three did not come in and "fix" it. What was originally just a mess of a story - got turned into one of the most influential movies ever made and for that we must applaud these editors. In fact, other than John Williams' amazing score - the editing is the most important reason why this movie works and why it is so good. The pacing is pretty much flawless (unless when it is being tampered with by the special edition changes) and there are multiple brilliant and effective cuts scattered throughout. If there is one minor nitpick I had to mention it is that this was of course a very messy script before a large chunk was taken out and sometimes you can definitely see that in the way it jumps around at times. Overall, 'Star Wars' is still a great movie with an overwhelming amount of creative designs and memorable moments. 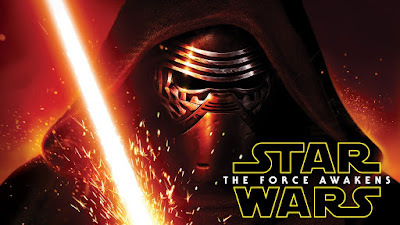 This truly was the starting point for were the summer blockbuster was going and judging by the anticipation that has loomed around the world for the past three years about 'Star Wars: The Force Awakens' - I think it is pretty safe to say the franchise has not lost its fanbase despite the very valid attempt with the prequels. 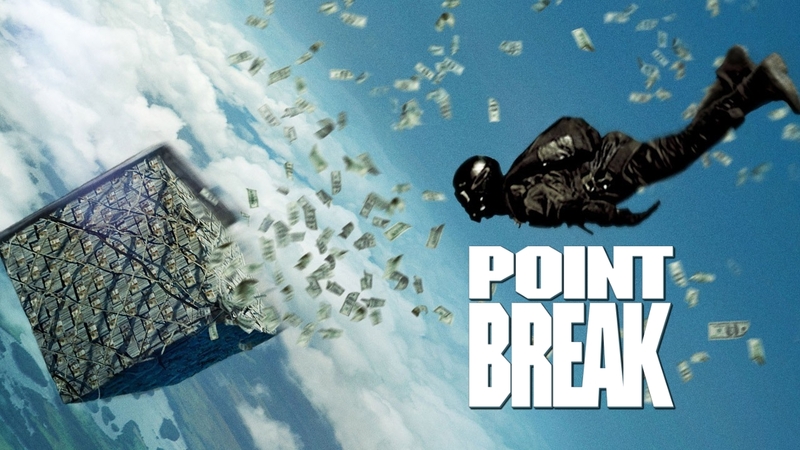 As part of an annual movie night during St Lucy's Day (ask your Scandinavian friend) - which basically means we spend the entire night watching three upcoming movies - the audience and I were sadly subjected to the upcoming 'Point Break' remake as the first film we got to see. Now as someone who has actually not seen the original Kathryn Bigelow classic I cannot comment on whether or not it follows the original beat for beat or if it actually deviates and becomes its own thing. What I can comment on though is whether or not it works as its own movie coming from someone without any bias. Seeing as we were not told what the movie is going to be beforehand I did not know until the title popped up but what I DID know was that whatever it was - I was probably not going to enjoy it from a directing and editing standpoint. This is a very flat and dull looking movie with no real excitement in any of the action sequences which should have lead to more reliance on the characters being interesting - but they were not. There is nothing special about it whether it is memorable lines, characters or moments and to my understanding the original film is filled with all of those which again lends me to believe we have reached yet another 'RoboCop' & 'Total Recall' esque remake that will come and go. It is basically the epitome of a movie that will be completely forgotten after it leaves the theaters. Luke Bracey is a flatline and does nothing to carry the movie except stand around. One of the worst sins the movie commits is like I said at the start - not even the action sequences are particularly exciting or inventive. They are very shoddily shot and there is no sense of tension or excitement to any of it despite all of the great locations that are involved. Of course a lot of blame can be put on the screenwriters being really poor at making us care for the characters but everything seems to be done so indifferently that I do not even know what the director was trying to focus on. The dialogue ranges from just being flat to downright horrible. The movie tries to give Johnny Utah (who is apparently a 'character') somewhat of a love interest and there were times during some of their conversations that felt like they were written by George Lucas himself. "I do not like sand" would not be a line totally out of place with what they were saying most of the time. Then there is also Bodhi (played by Édgar Ramirez) who constantly spouts out spiritual lines that could very well be written by a film student trying to sound poetic but failing miserably. The pacing is all over the place due to the stop and start type of structure the movie is going for. There are not enough moments to let us get to know the characters we are going to have to invest our time on and whenever these rare moments occur they are drab and uneventful. It is like the writers find these scenes to be more of a burden than anything. 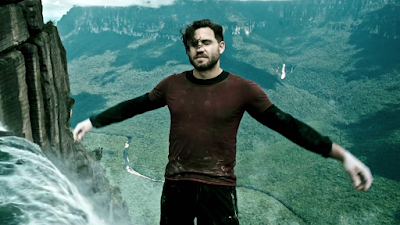 Overall, the 'Point Break' remake is exactly what we expected it to be. Mindless nonsense with no characters to latch on to and nothing to really push it to the level of even the most generic of action thrillers out there. The performances are weak, the directing is flat and the script is emptier than a blank sheet of paper. Really the only thing I got from it is that now I more than ever want to see the original just to see how this premise could work in the hands of a proper film maker.